The atmosphere at the climate conference in Paris is full of rumour and intrigue. Rumours abound of a pincer movement, spearheaded by the US, to trap India and hold it responsible for all failures at Paris. The first salvo in this direction was by US Secretary of State John Kerry, when he called India a "challenge" so far as the Paris climate talks were concerned. Now, the western media has taken this "issue" up as a crusade and have begun to routinely term India’s position as "divisive"—even without examining what that position is. Rumors are rife that China will stay with developing countries till the last few days and then China and the US will come together, along with France, to force a deal upon the rest of the world. Something similar happened at the Lima climate talks last year, when the US and China redefined the principle of common but differentiated responsibilities (CBDR). China is unusually quiet at Paris. My reading of the situation is that there is a well-laid plan to trap India into a position where India will come across as obstructionist. Developed countries know India is wedded to the 1992 convention and any major deviation from the convention’s principles will attract its disagreement. They will, therefore, try at every step in the next 10 days to propose changes in the convention, just to attract opposition from India. This will, then, be hyped up as a "unilaterally polarising" attitude that has bogged the negotiations down. India will be the "fall guy". Then, in the last few days, the US and China will come together and foist a deal with the support of the French and other European countries. A promise of money will be made to keep developing countries happy. Indeed, the money promises have begun to pour in. Four European countries—Germany, Norway, Sweden, and Switzerland—today announced a new US $500 million initiative that will find new ways to create incentives aimed at large-scale cuts in greenhouse gas emissions in developing countries to combat climate change. The World Bank Group has worked with the countries to develop the initiative, called the Transformative Carbon Asset Facility. Also, 11 countries, including Canada, United Kingdom and the US, have pledged close to $250 million in new money for adaptation support to the most vulnerable countries on the planet into a fund called the Least Developed Countries Fund. Coming back to the plot; a beginning in this direction has already been made. A few days ago, a one-page non-paper of the US was conveniently "leaked" to the media. A non-paper is not an official position, but a paper that suggests the intention of a country. This non-paper of the US essentially proposes to rewrite the convention. It proposes to eliminate differentiation between developed and developing countries and marginalise the principle of CBDR and equity, replacing it with the concept of "self-differentiation"—as President Obama put it in his Leaders' Plenary speech: "Targets that are set not for each of us, but by each of us" (emphasis added). It makes no firm commitment on finance or technology from the developed countries and proposes a bottom-up, do-what-you-want climate regime with no special obligations on developed countries to cut emissions. Most of what this non-paper states goes against India’s stand. India has two choices. Either it can get sucked into this whirlpool of what increasingly looks like a well-laid out plan or it can propound a counter-narrative that will turn the tables on developed countries. 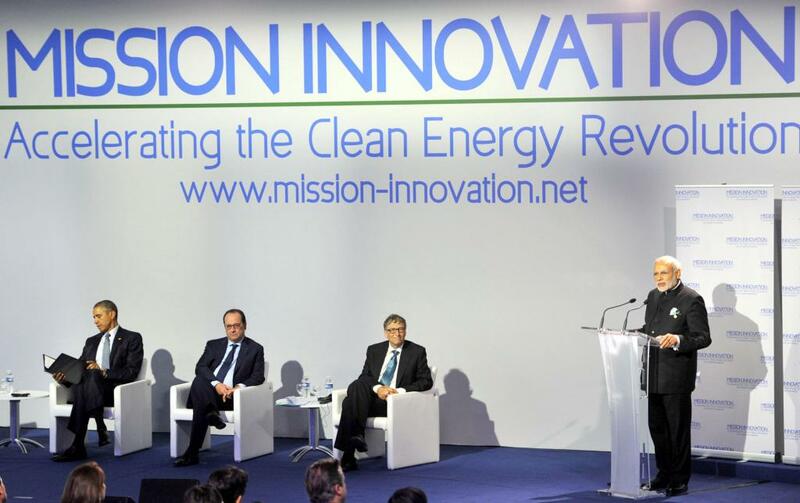 I believe India has an opportunity, in Paris, to do exactly that. It is important for India to get its objective, and the communication of this objective, right. It should clearly communicate the fact that Paris is the last chance to operationalise the principle of equity and CBDR. The fifth assessment report of the Intergovernmental Panel on Climate Change (IPCC) has clearly put out the number on the amount of carbon dioxide the world can emit to maintain the safety threshold of a temperature increase of less than 2℃ since the pre-industrial era. This carbon space of 1,000-1,400 billion tonnes, which can be emitted from now till 2100, is fast disappearing. Consider, for instance, the UNFCCC’s Synthesis report on the aggregate effect of the intended nationally determined contributions (INDCs). By 2030, if countries do not increase their ambition to reduce emissions, 60-75 per cent of the carbon budget will be exhausted. In 2030, the Human Development Index (HDI) of South Asian and most African countries will be less than 0.65. These countries will need carbon budget post-2030 to meet basic development needs like food, shelter, infrastructure and energy. The Paris climate conference must ensure that this "development space" is made available to developing countries. And this can only happen if, at Paris, countries agree on architecture of fair allocation of carbon budget and fair burden-sharing between countries. With this objective in mind, India should put counter proposals on the table for the developed countries to oppose. For instance, if developed countries want review and ratcheting-up of mitigation every five years, India should not oppose it. It should rather put a proposal which will ensure that review and ratcheting-up is done keeping in view the principle of equity and fair allocation of carbon budget. India should also support the key demands of least developed countries and small island states. These countries want a financial mechanism to take care of the loss and damage suffered by them due to climate change. They also want that the temperature increase should be limited to 1.5℃ and not 2℃. India should not oppose the 1.5℃ limit outright; rather, it should say that both 1.5℃ and 2℃ should be kept as targets, as done in previous climate conferences. It is important that India’s position reflects both the aspirations and threat of climate change to the developing world. An article written by Prime Minister Narendra Modi in Financial Times does partially capture this when he says that "the lifestyles of a few must not crowd out opportunities for the many still on the first steps of the development ladder". However, India should strongly reflect the views of the poor in the developing countries who are bearing the brunt of climate change. India should start articulating its position in the interest of the poor of the world and not only its own poor.